My garden photography is featured in the Spring 2017 Gardening Issue of Your Home & Lifestyle Magazine, a publication for real estate professionals and their clients. 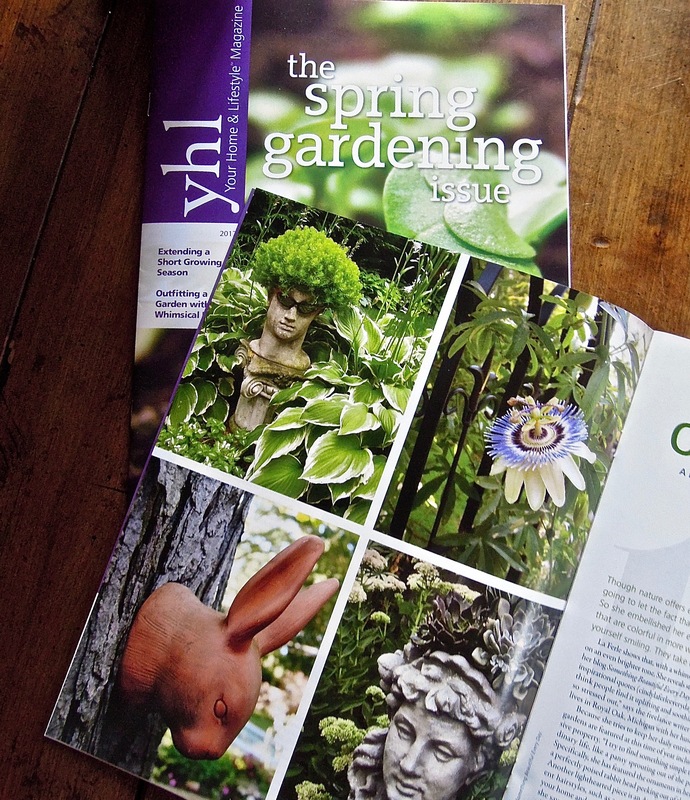 The article (by Detroit design journalist Jeanine Matlow) talks about how I’ve “decorated” my garden beds with outdoor ornaments I’ve collected over the years. I’m thrilled to see my photo blog mentioned in this lovely article, too. This entry was posted in Events & news and tagged Cindy La Ferle: Something Beautiful Every Day, garden ornaments, garden photography, photo blogging, spring gardening, Your Home & Lifestyle Magazine by Cindy La Ferle. Bookmark the permalink.